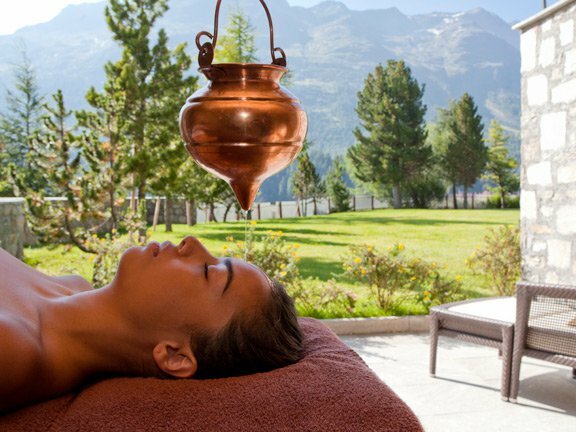 As an Ayurveda expert, Indian-born Wellness Advisor, Martha Wiedemann, has created a brand new treatment at Palace Wellness at Badrutt’s Palace Hotel. Using Ayurveda theories of detoxifying and nourishing the body, Wiedemann has created the Skin Food Ritual to cleanse, purify and feed the skin. This innovative treatment relies on a topical Ayurvedic Detox Powder, versus the traditional oral detoxification route, in tandem with ginger, lemon, and Shodeea rejuvenating oils.